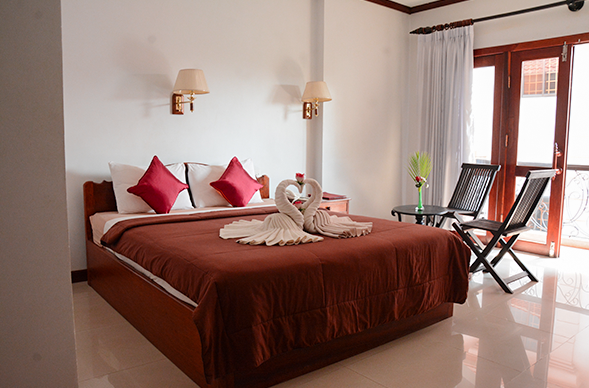 , 15 minutes drive from the Siem Reap Airport and 10 minutes drive to the Angkor Wat Temples complex. Mom’s Guesthouse opened in 1993. 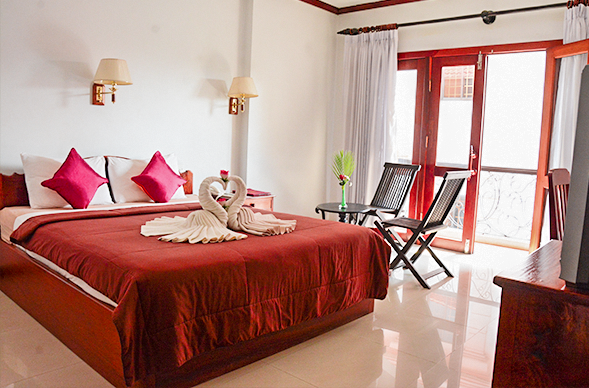 It initially started with 15 Khmer traditional wooden rooms. Thanks to our hospitality and excellent service, Mom’s Guest House has become very popular for both local and international tourists. Our business is progressively growing. By early 2004, we were able to replace our wooden guesthouse with a brick building offering 30 luxury rooms. Lastly, in March of 2010 we built our swimming pool . Mom's GuestHouse offers Hotel like accommodation : Deluxe Rooms, with private balcony and very affordable Standards Rooms with all the modern comforts. 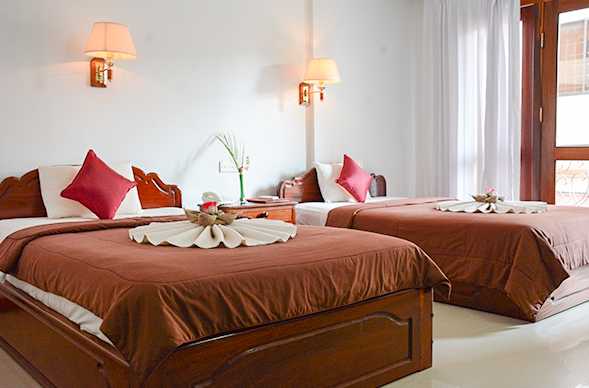 Your Hotel like accommodation while on your way to the Angkor Wat Temples here in Siem Reap, Cambodia. The neat Deluxe Rooms at Mom's GuestHouse include hot water with full bathtub, private balcony, large window and very affordable family rates with all the modern comforts. The Standard Rooms at Mom's GuestHouse include air-con, private balcony, large window, hot water, full bathtub and very affordable family rates with all the modern comforts. Koh Ker was the Capital of the Khmer Empire period from the year 928 to 944 AD. In this short time some very spectacular Angkorian temples and immense sculptures were constructed.